Wash and disinfect car automatically !! 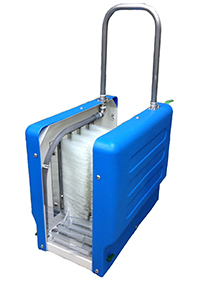 We had installed many basic necessary disinfection equipments with cheap price. Operation just pushing 1 button. 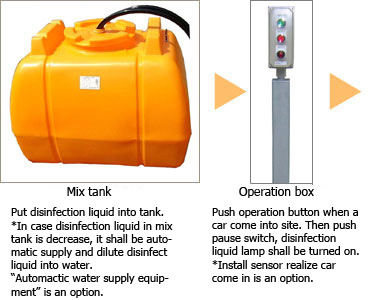 After setting up timer control, this equipment shall operate automatically. 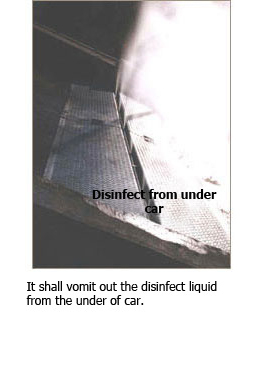 Disinfect both side of car in and out of site. ※ Most of all is basic specification. 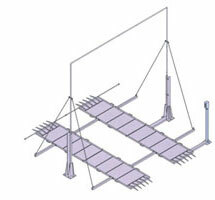 But according to car’s specification and application, we could change size of this equipment. 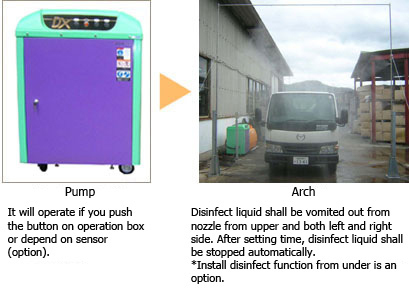 Unitized disinfection tank, arch part, under part washer, and operation ! Not necessary to install unnecessary parts at site ! Immediately installed even if you don’t have time ! Able to remove in case have no neccessary ! We prepared disinfection substance tank, frame, under part washer, operation part. Then we combine all units together at site, and complete by setting up surface of tire right above disinfection substance tank. If there is surface at site, it could be fixed installed. Up to now, a wide range of concrete foundation is not required. Disinfection washing have to be started from feet !! This is a kind of brush using for rubber boots. Don’t need electric, or choosing installation place !! Be able to wash from heel of boots! This is brush using for washing boots. Only need water source and hose, then you could wash from heel of boots to all body. Please keep your feet inside boots and moving. Brush is a simple products, so it is able to change. During washing time, you could use handle to wash firmly. 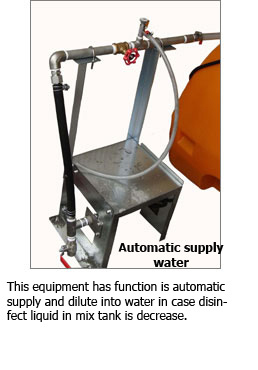 Waste water will be discharged from under part. 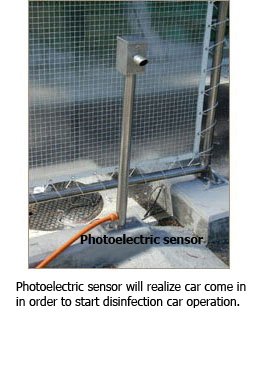 So there will be no worry of secondary infection due to accumulation of dirty waste water.